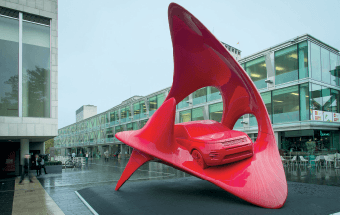 LAND ROVER, Lexus and Jaguar are along the major automotive marques showcasing concepts, sculptures and installations at this year’s Milan Design Week, which opens to the public next Tuesday. As well as on the contents of your garage, Land Rover has designs on your living room and for this year’s event will be showcasing not just a range of premium SUVs, but something called Unstoppable Spirit, a sculpture co-created by Gerry McGovern, Land Rover’s design director, and Nino Mustica. A respected Italian artist, Mustica uses different media and different approaches to move a concept from one medium — say a flat painted canvas — to another in three dimensions. Unstoppable Spirit is meant to represent the point at which art and automotive design intersect and is fashioned from metal and fiberglass. 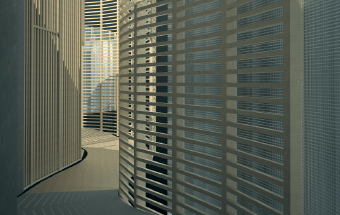 The 7m tall piece will be on display at the Piazza Gae Aulenti, a location chosen for its existing architectural leanings, a space where the piece will play against the skyscrapers in the background. A supporting exhibition of Nino Mustica’s work exploring the same theme will also be taking place. Sister company Jaguar has been selected to participate in this year’s designjunction edit in Milan, which will run during the main design week, alongside Tom Dixon, Case Furniture and Void Watches. Designjunction has quickly established itself as the showcase for interior design and culture, not just during the Salone de Mobile Milan but also at London and New York design festivals, too. 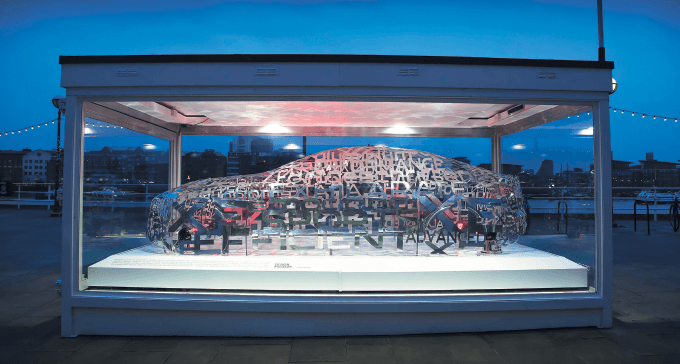 In a space within the former Arti cinema, dressed by Tom Dixon, Jaguar will be showing its Word Cloud aluminium sculpture that twists 95 words in seven different languages into the flowing contours of a Jaguar XE, the object the words describe. Luxury Japanese marque Lexus, for its 10th year at the event is planning a more interactive, almost traditional installation entitled “A journey of the Senses”. It will consist of three zones, created by French designer Philippe Nigro, each of which is meant to engage all five senses in very different ways. Two of the installations will be given over to exploring Lexus, either via its approach to design — inside and out — or via the designers of tomorrow the company is supporting through its Design Awards programme.